Roofing Contractors Insurance Houston Texas — Low Rates & Instant Coverage 7 Days Per Week. Do you need Roofing Contractors Insurance In Houston Texas or the surrounding areas? If that is the case, call Pathway Insurance by dialing 800-998-0662 Monday – Friday until 5 PM CST or reach out to us by using our chat system up until 7 PM CST. Pathway offers competitive rates and coverage for a variety of different types of roofing contractors including roofers specializing in residential and commercial work. We offer commercial insurance for roofers across the United States. Roofing Contractors Insurance Houston Texas — Is This Covered By My Insurance? It is very important for contractors to have a good understanding about what their policies actually cover and what they do not cover. For this reason, we like to use fictitious scenarios to illustrate important information so you may, as a business owner, secure the appropriate coverage for your business. Let’s peek in on an accidental injury to determine whether or not coverage would apply. If you have questions about this, our agents are standing by via phone or chat. Roofing Contractors Insurance Houston Tx – The Accident. Jose Frankenburger loves roofing. His father trained him to be a roofer when he turned 16, and since the age of 21 he has worked as a supervisor for his father’s company, Mighty Fine Roofing, Inc.
His entire crew loves working with him because he treats everyone to hamburgers every Tuesday at Big Delis Burger on Main Street in Houston. On a Tuesday afternoon, one of Jose’s crew members, Mike Waffler, left his nail gun sitting on the edge of a roof they were working on. As is customary, Jose treats his crew to lunch that day. He has Big Delis Burger deliver the meals to the worksite. Most of the workers come down from the roof, including Mike, and begin to enjoy their tasty burgers. Just then, a sudden, stiff breeze courses through the area, causing Mike’s nail gun, which he carelessly left sitting on the edge, to fall off the roof. As the nail gun made its way to the ground, compliments of the power of gravity, it inconveniently makes impact with a roofer named George’s uncovered head, knocking him senseless. The accident happened as if in slow motion. Two of the crew members watched helplessly as the nail gun tumbled through the air and conked George in the head. Everyone is stunned momentarily, but then the crew rushes to where George toppled over to see if he is ok. Unfortunately, George has a huge bump on his head and worse — it looks like the nail gun discharged a nail into the side of his head! The workers quickly call 911, assuming the worst. An ambulance is dispatched within only a few minutes and George is rushed to the hospital. In Part 2, we will learn what happened to George and the extent of his injuries. However, we also have an important question to answer about the insurance coverage of Mighty Fine Roofing, Inc.: Will their Houston Roofing Contractors Insurance Policy pay for the injuries to George because of the carelessness of Mike Waffler? We will find out the answers in our next article. Houston Roofing Contractors Insurance — Need Insurance Today? 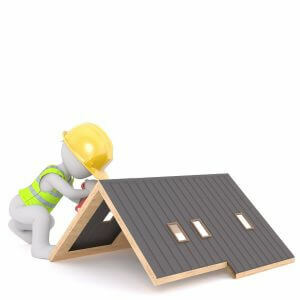 If you are either a new business or an existing business with a need for Roofing Contractors Insurance In Houston Texas or the surrounding areas, you will find no better place to buy your insurance. So why not call Pathway today? Our number is 800-998-0662 and we are available until 5 PM Central Standard Time Monday- Friday. We are also available by means of our live chat system. Licensed agents are standing by seven days per week when you use our chat system.